Drivers alignment refers to the alignment of the tweeter and woofers of one speaker so that the impulse response overlaps. This to ensure coherence of sound so the sound from the tweeter and the woofer reach you at the exact same time. In general, you will noticed that the tweeter needs to be delayed as they are usually closer to you than the woofer. 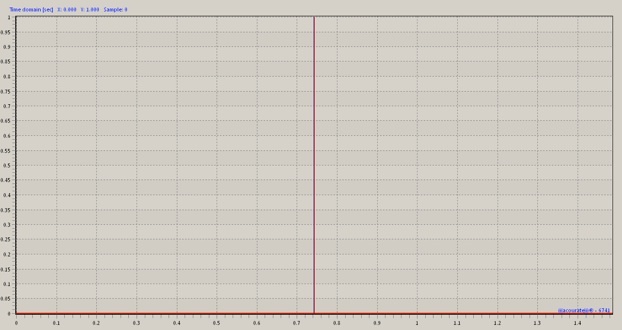 You can see that the graph above has a few peaks in the first few milliseconds. They belong to the mis-alignment of the drivers. 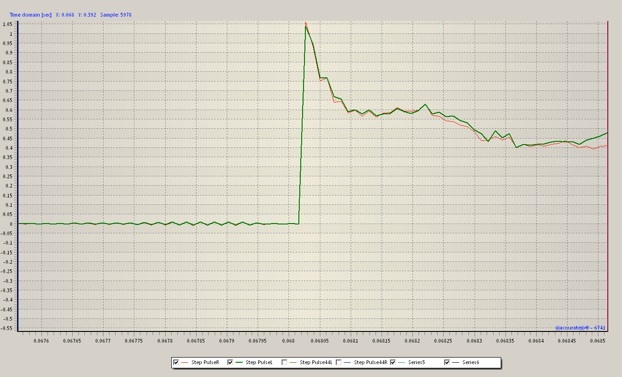 However, being a linear phase crossover as Bessels is, the overall step response is not bad at all! 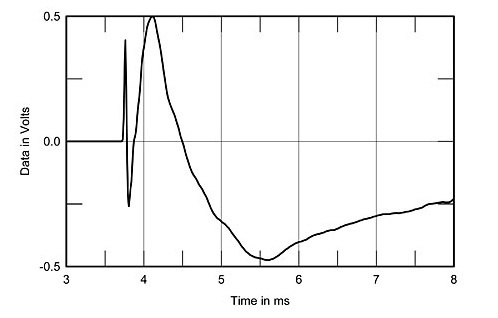 In contrast, this is a typical step response curve you see in Stereophile megazine and this one belongs to Magico V3. 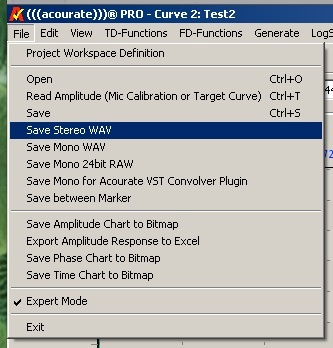 Instead of using rulers, we can do it acoustically with Acourate. Measuring acoustically has an advantage of knowing exactly the measurement end points. There has been some debates about where from the driver should the physical measurement be done, the coil or the diaphragm? The center of the speaker or the front panel? 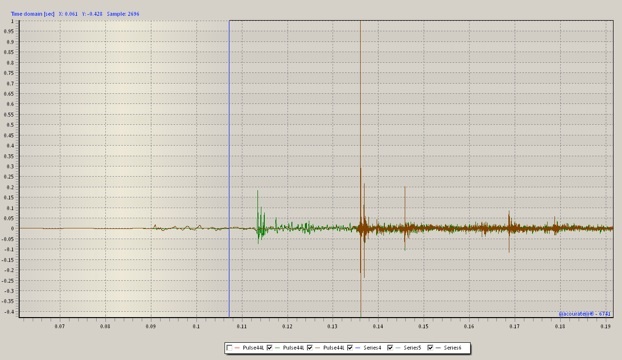 With this technique, there is no issue as it is the sound ware that we measure. What is the resolution of this method? Let’s do some maths. The resolution is 1 sample. 1/44100 = 0.0226 ms or 0.68 cm. In other words, this technique can measure a minimal of 0.68 cm drivers misalignment. 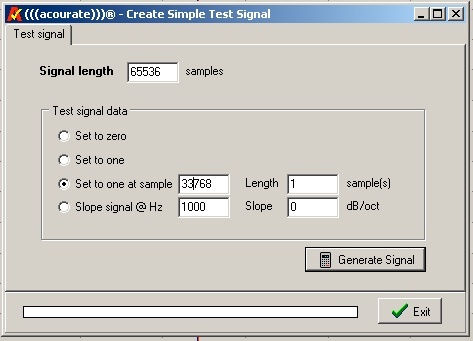 The higher the sampling frequency, the higher the resolution. 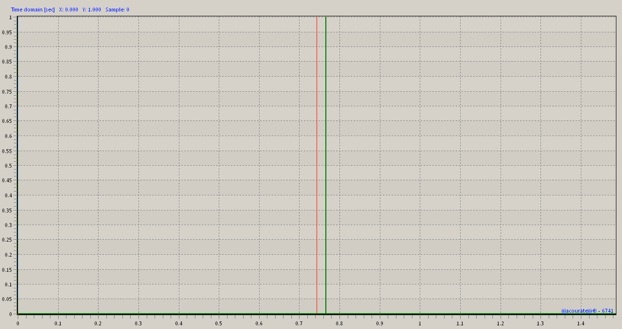 Next thing we need to do is to artificially space out each drivers in timing so the peaks can be easily detecting at a later stage. The BruteFIR configuration files allows the definition of delays specified as samples. Now, for my 4th way system the artificial delay with the subwoofer is 0 sample, the woofer is 2000 samples later, the mid is 3000 samples and the tweeter is 4000 samples later. 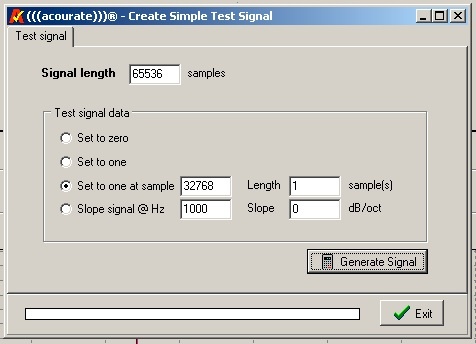 By delaying 2000 samples, we are delaying 2000/44100 sec = 45.45 ms or ~13 meter measured by sound. The delay is confirmed with physical measurement just to be sure. That’s it for drivers alignment. For those who find the identification of pulse peak too difficult, here is a different way of doing it. Do a logsweep recording with the delays. 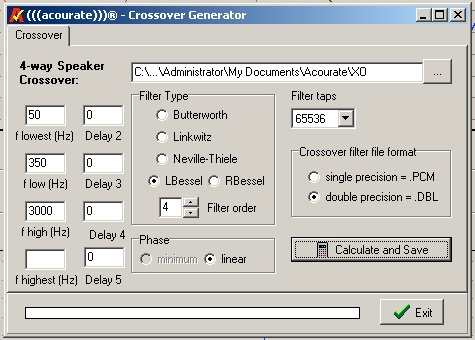 Load the crossover filter as shown – In the following example, the delay between tweeter and mid is being tested. 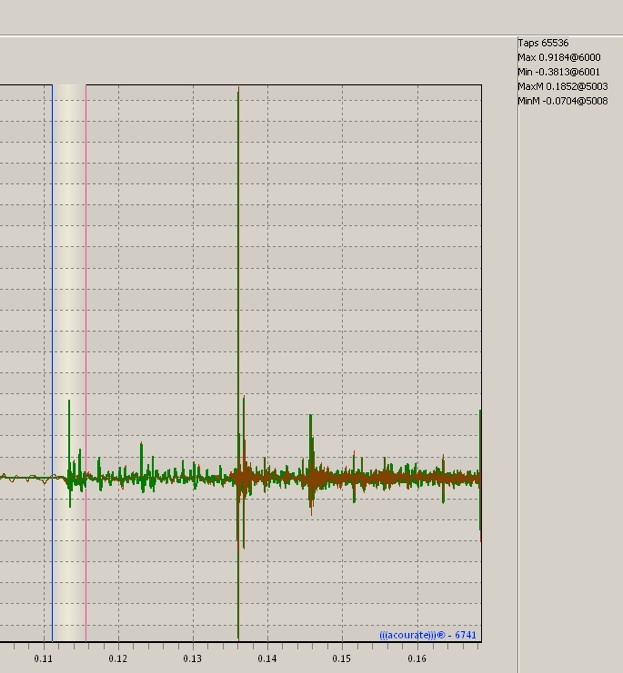 The 2 pulses are now clearly seen. Make sure you are looking at the pulse, not step response! 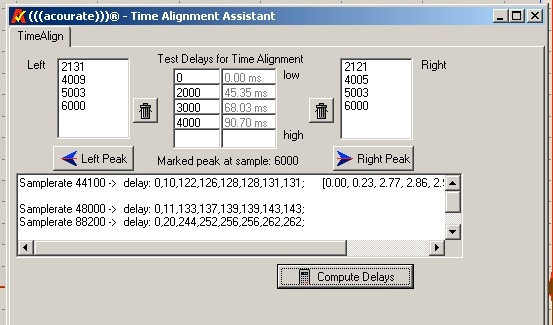 Then, you can calculate the delay manually. 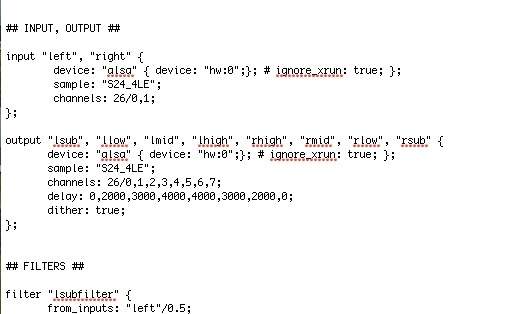 Now, let me explain how to calculate the delay manually. Let’s use the above reading as examples. Negative means delay. The above number means the tweeter arrive to the mic first. This is exactly what we got! 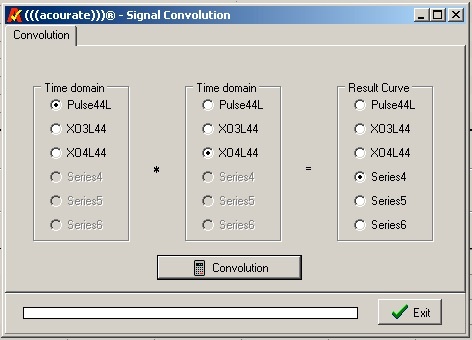 You may even want to change the gain setting for one of the pulses so that the Left/Right can be easily identified. 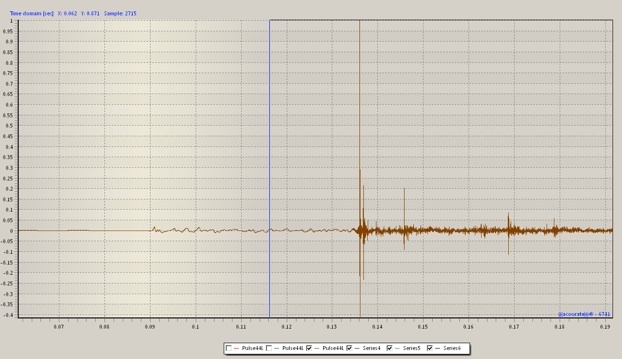 The actual difference between the recorded pulse gives you the time delay! Check out my latest time aligned impulse response!